After the rain, sunlight and water in the atmosphere collaborate to create the magical colour ribbon in the sky. 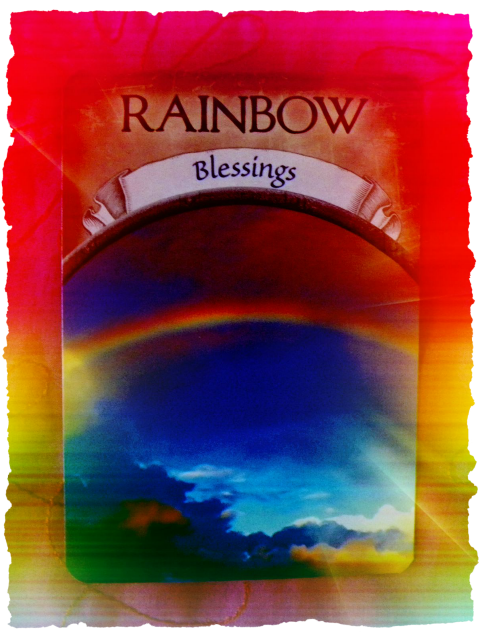 A rainbow symbolises refreshment and calm after the storm, new hope and optimism, embracing the bright side of life and abundance. It is also seen as a bridge to heaven. Its principal message is that after dark times there is new life, opportunities and happiness waiting for you to enjoy. And this is my weekend message to you.